Braun Series 5 electric shaver is equipped with an innovative skin-sensitive technology. The technology consists of an intelligent AutoSensing motor which adapts to the density of your beard for an efficient shave in every stroke. In addition, a skin-friendly flexible head moves in 8 different directions to capture hairs in even the most difficult areas. Electric shaver with skin sensitive technology for maximum performance and excellent skin comfort. AutoSensing motor for efficient shaving in every stroke, even with dense beards. 8-Direction Comfort flex head for constant skin contact, even in difficult areas. Series 5 Wet/Dry Electric Shaver Black with Pop Up Precision Trimmer is rated 4.3 out of 5 by 261. Rated 5 out of 5 by Martin17 from The shaver foils and cutter action are brilliant. I purchased my series 5 shaver a few weeks ago and I can't believe how comfortable and close the shave is, thank you for such a great product. Rated 5 out of 5 by Kakks from Great Shaver I brought this for my husband a month ago and he is so happy with this shaves very close and so easy to use. Rated 5 out of 5 by Joey from Excellent Quality After 8 years, my Series 3 needed replacing. I reluctantly purchased a Series 5 (the 3 seemed good enough!). What a difference! Amazing smooth shave and excellent battery duration. To the young salesman in the Launceston shop first up on Saturday morning 19 January, 2019, you were spot on despite my resistance!! Does this shaver come with an Australian type 240V plug? Yes it does. The unit I purchased came with a Braun 2-pin AC/DC Adapter Input 100-240V. Do you stock new cutting heads for Braun series 5. 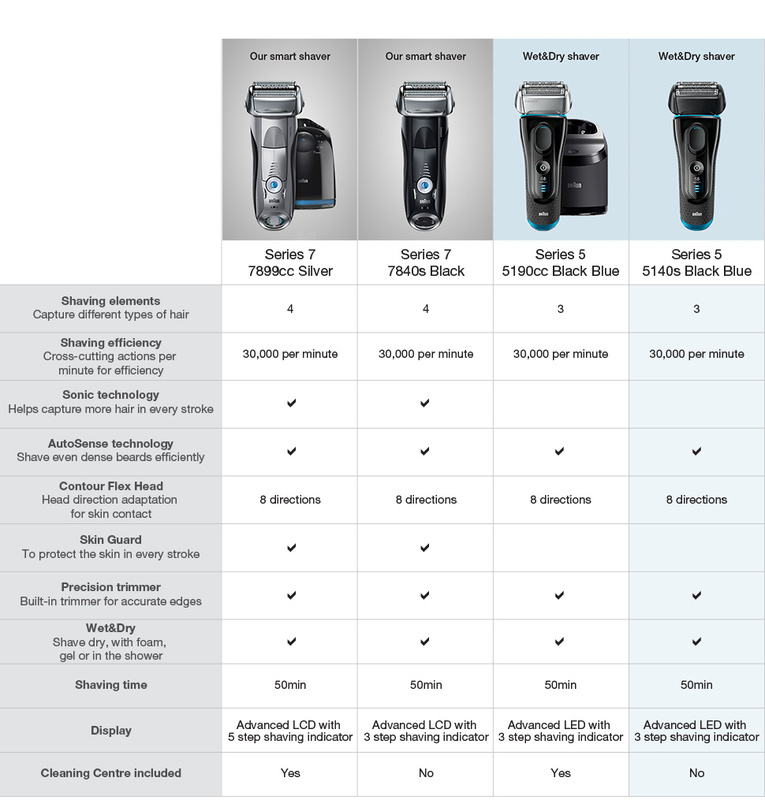 I'm confused between braun 5 series wet/ dry electric shave black and the Series 5 Washable Electric Shaver Black with Flex Motion Tec I'm not sure which one to get i have a very sensitive skin so which one do you recommend ? How do I clean my Braun Series 5 shaver ? Hi, can this shaver (Braun 5140S) be used for shaving while it is plugged into the mains and charging? Also, same question for Braun 5030S? Thanks. Does this series 5 shaver come with accessories such as a protective carry case? My S5 sis not working . When S5 is switched on, a shape of a lock appears 3 times with same number of beeps and that's it. Secondly, can I download a user manual of the Braun S5 from ay sight. Thanks for any help. Is this suitable for body hair also?